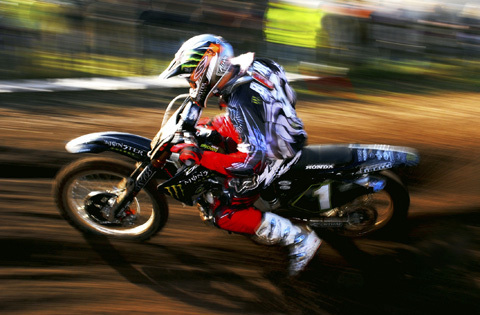 An amateur photographer from Devon has beaten hundreds of others to scoop Motocross Photographer of the Year. James Clews from Exmouth triumphed in the contest, winning a one-to-one tuition session with professional motocross photographer Ray Archer. ?My photograph was taken at Hawkstone Park in Shropshire for the British series and captures renowned motocross rider Mike Brown,? said James. ?The idea of the shot was to give a sense of speed and bring out the colours… I used a panning shot which is a great technique for photographing this sport.? The runner-up was named as Andrew Conway, while Andrew Waghorne came in third. The contest was sponsored by Express Insurance.